67. Be careful when using recordings and laser pointers in the field. One of the simplest ways to lure songbirds in for a close look is to play recordings of their songs. As equipment becomes smaller, it becomes easier to use this playback technique when birding. The problem is that birds respond to recordings because they’re stressed. When a male bird hears the song of another bird of his species (and sometimes other species), his heart rate rises and he gets agitated. He often stops what he’s doing and starts singing himself or even approaches the source of the sound to chase away what he perceives to be an intruder on his territory. Since it is natural for birds to check out one another’s territory and respond in exactly this way, this is usually not a major issue. However, playback is best used to lure an already singing bird closer rather than to grab the attention of a bird going about some other business. Sometimes a birder or a guide will play a song of a nonsinging bird to lure it out for a quick look. This isn’t harmful in isolated incidents, but it shouldn’t happen more than a handful of times to any single bird. In some situations, however, playback can be genuinely harmful . In the case of very rare species, especially “hotline birds” that attract a lot of birders, or in very popular destinations, birds can spend too much of their time responding to recordings rather than doing the things they need to be doing. While a bird is responding to a recording, and usually for many minutes after, it’s focused on finding the intruder rather than checking out other possible dangers on its territory, feeding or caring for its young, or finding food for itself. There are some popular birding destinations where playing recordings is prohibited because the birds are already under intense birding pressure. Violating these prohibitions is highly unethical. Birding guides are now using more high-tech methods to point out birds. For a while, people were using small hand mirrors to shine reflected light around the bird they wanted people to see. But mirrors are unreliable when it isn’t sunny and are hard to control precisely. 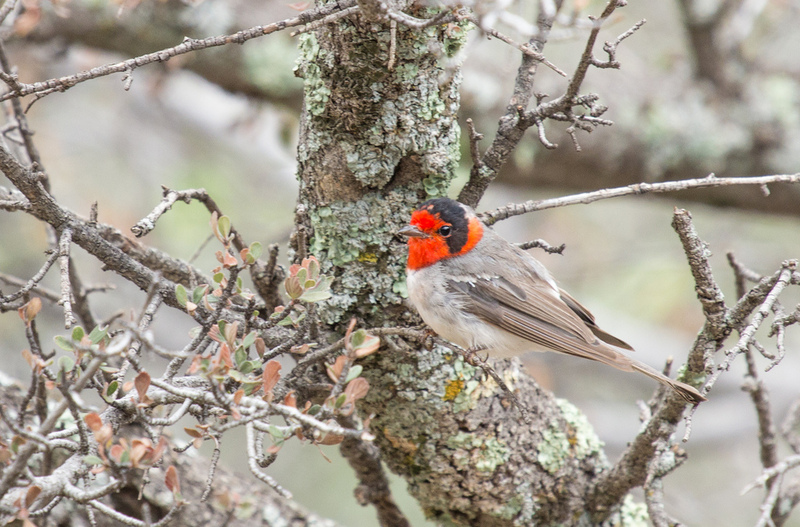 When I saw a Red-faced Warbler in Arizona and pointed it out to one of the other people on the tour, he tried to show it to the rest of our group with a mirror but flashed the light directly on the bird, scaring it away. Some guides are now using laser pointers, but I don’t think this is a good idea. For one thing, there is always the risk of accidentally shining the light into the bird’s eyes or the bird flitting into the light beam. My son has a blind area on one retina caused by a child playing with a laser pointer when they were in fifth grade; the beam only shone in my son’s eye for a second or two. Some people are steady-handed and can do an excellent job of keeping the pointer away from the bird, but when we’re focused on a bird, we’re not noticing what’s beyond it, especially through branches and foliage. We don’t know what insects, amphibians, or other animals, including birds, the beam might be reaching. If you must use a laser pointer, keep it on for the shortest time possible, and take great pains to keep the beam away from every person and animal.